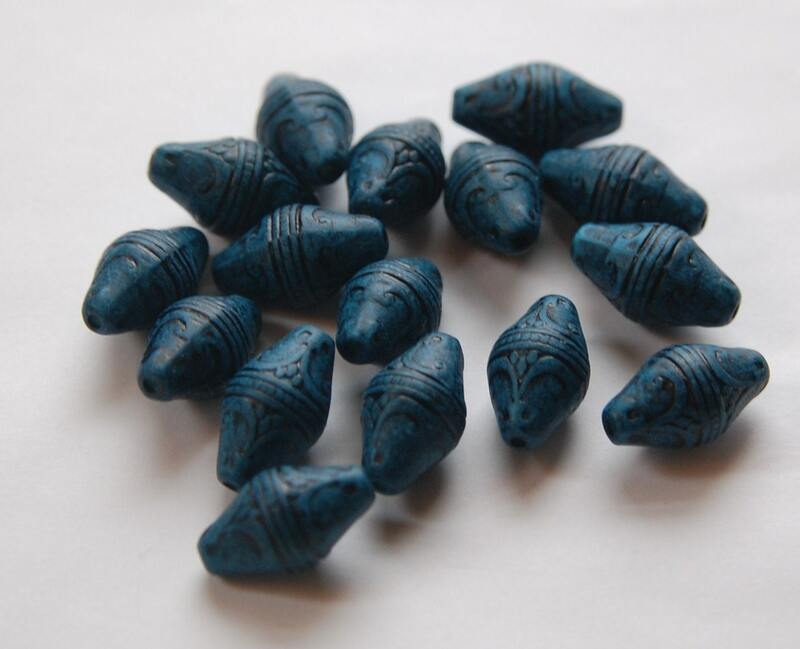 These are wonderful vintage style elongated bicone like beads. The body is a dark denim blue and the etched details are accented with black. These measure 20mm X 10mm. You will receive 8 of these. Very nice color and shape. 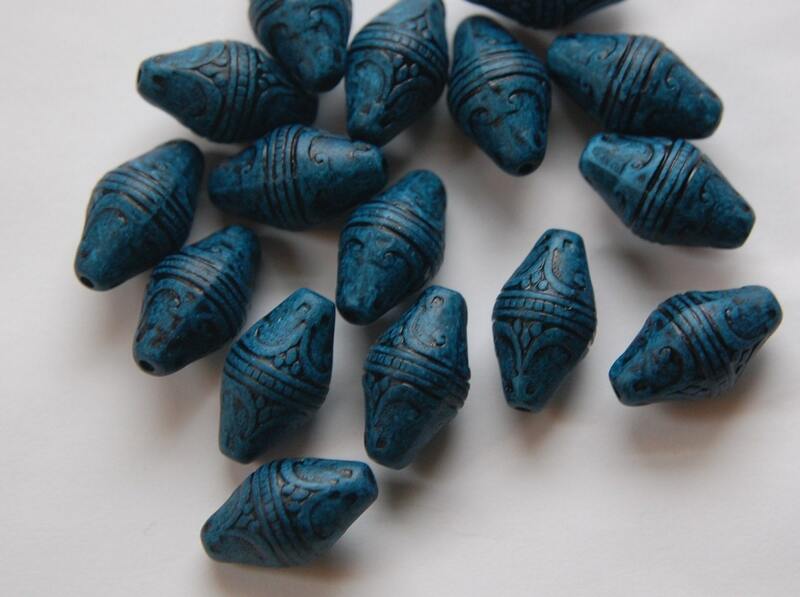 LOVE these little beads. Great color. Fun size and shape! These are perfect for my project! Thanks for the fast shipping too! This is such a fun, terrific place for supplies, look for yourself.This is such a fun, terrific place for supplies, look for yourself.